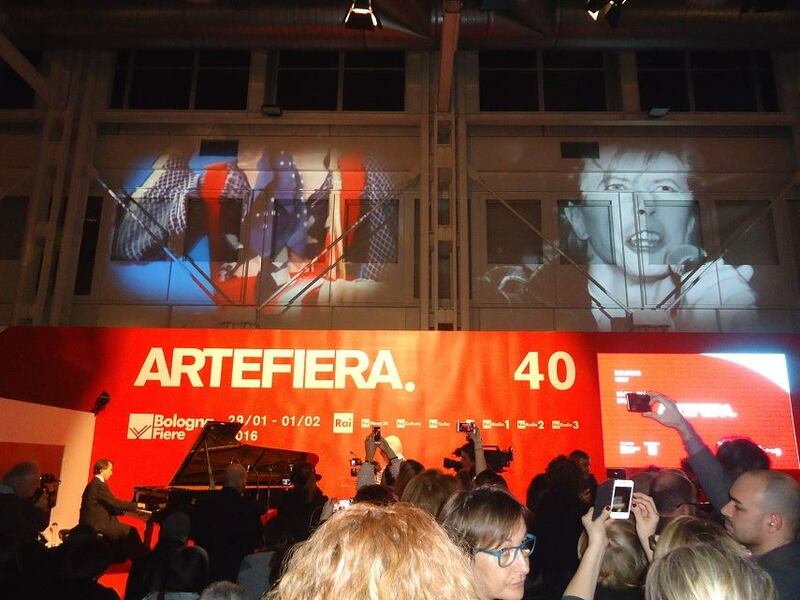 ArteFiera Bologna has always been one of the most famous art fairs in Italy, due to its long history and its deep establishment in the art system. This year coincides with the fortieth anniversary of the institution, that has celebrated this recurrence with a rich programme. On this occasion, the artweek in Bologna has been fulfilled with lots of appointements, such as exhibitions, happenings and initiatives, reaching the number of seventy events and more than fortysix venues. 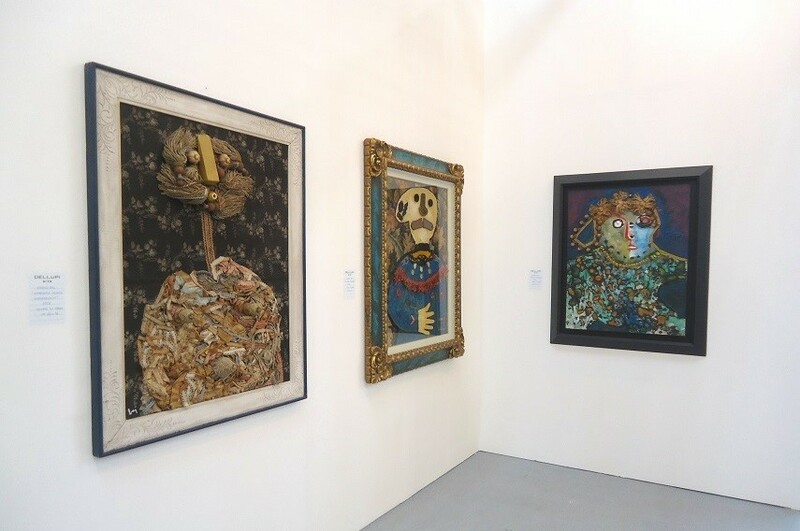 Under the artistic guidance of Giorgio Verzotti and Claudio Spadoni, who are leading this art fair for the fourth time, this edition has been enlarged with more galleries, counting 220 presences. The three main pavilions were divided into different sections: modern and contemporary art, photography, new proposals, solo show, publishers, art magazines and bookshops. 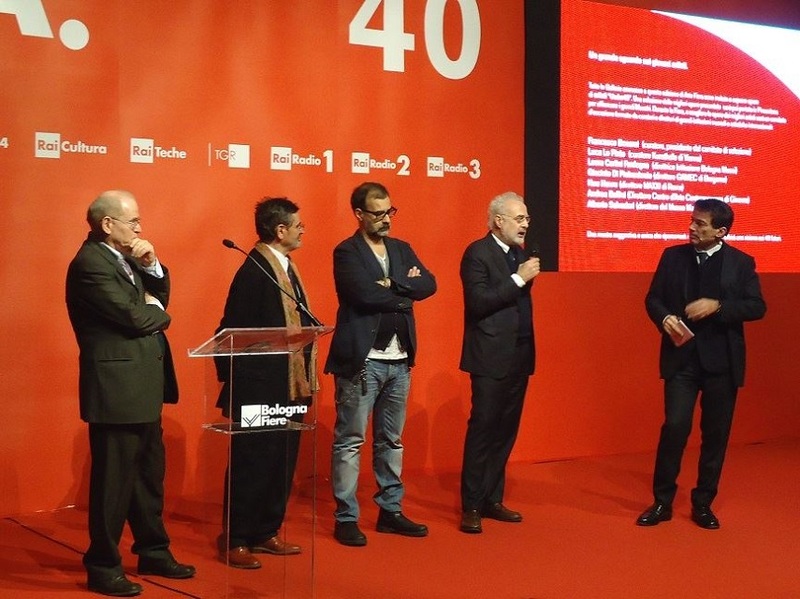 Amongst the number of events that were part of the programme during this artweek, the collective exhibition ArteFiera40 emerges for its historical relevance. It was a show organized for this specific birthday, that illustrates the history of this fair since its creation, through a selection of artworks. It took place in different venues, from the Pinacoteca Nazionale di Bologna to Mambo-Museum of Contemporary art in Bologna. The programme of the art fair has also included a schedule of talks, focused on: art advisory, art market, indipendent and no profit projects, collectionism and italian galleries. The opening ceremony was introduced by the two main curators Giorgio Verzotti and Claudio Spadoni, with Francesco Bonami and Luca Beatrice, whereas the last part of this appointment has been built as an homage to David Bowie, through the piano notes by Maurizio Baglini, the famous Italian pianist. During the concert, some images of David Bowie have been projected onto the walls. There have been the presence of either renowned or historical italian galleries, such as: Spazio Testoni, Enrico Astuni, L’Ariete, Federico Luger, Michela Rizzo, P420, PrometeoGallery, Primo Marella, Emilio Mazzoli, Lia Rumma, Galleria Contini, Studio Trisorio, Continua Art Gallery. Instead, the foreign galleries were very few. 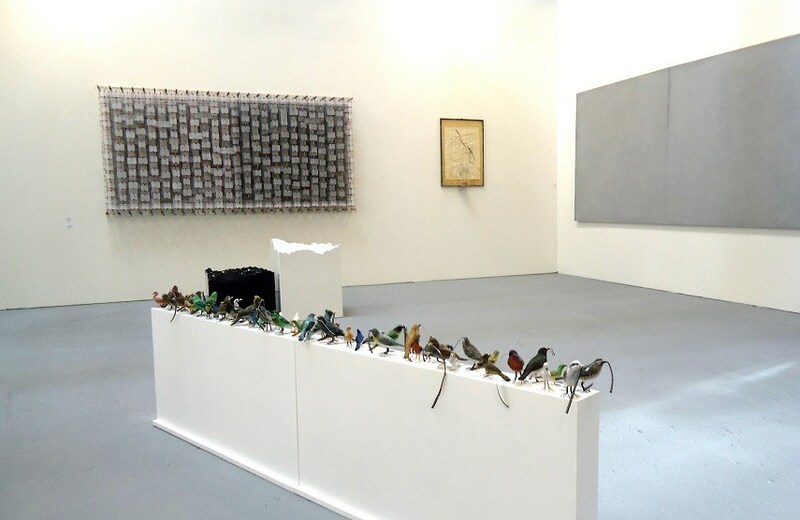 Amongst them: Hollenbach, Jerome Zodo, 29 Arts in Progress, Little Birds, Galerie Iragui. It seems that, during this edition, most of the galleries have preferred to choose historicized artists, who already have a strong market scene. Drawings and paintings were the most seen techniques amongst the whole fair, whereas installations were very few, in a way following the audience’s formerly established taste. It has been very difficult to find new challenges and lively artistic practices. The whole overall gaze reflects that the selections were more addressed to propose modern works, rather than new projects and fresh artworks. Once, art fairs have been a place to meet new people, visit foreign important galleries, watching up-to-date currents and artistic practices gushing out from the booths. The whole impression, instead, has been that everything was very static and formal. The booths that have presented curatorial or research projects were the most interesting ones, giving the idea of small either collective or personal exhibitions. WideWalls was there and this article will give a glance on some of them. 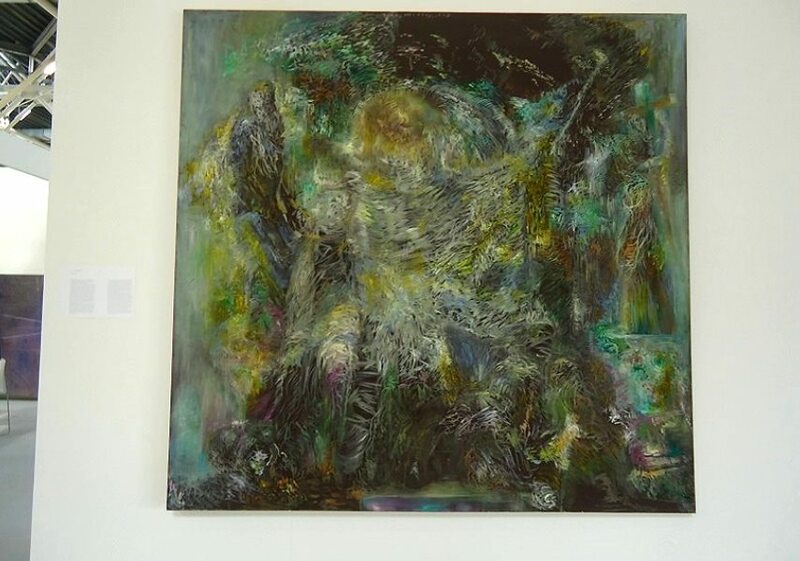 Galleria Russo is an art gallery based between Rome and Instanbul, that has presented a deep and historical retrospective on the italian artist Mario Sironi. This personal exhibition was focused on the corpus of works that he had made for “Il Popolo D’Italia” 1921-1940, a magazine that was part of the facist regime in Italy. Caricatures, illustrations, drawings and sketches were accompanied by a videodocumentary, in a room that depicted the whole historical reconstruction between the works. Spazio Testoni from Bologna had two booths during ArteFiera. 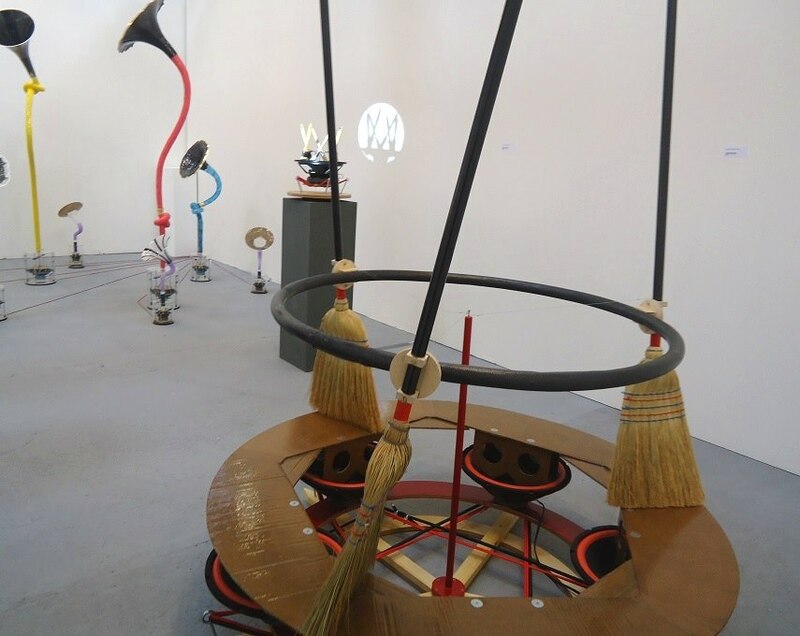 The first one was a collective exhibition of installations and works by Joseph Beuys, Julien Friedlr, Maria Rebecca Balestra, Caroline Le Mehaute, Andrea Francolino and L’Orma. 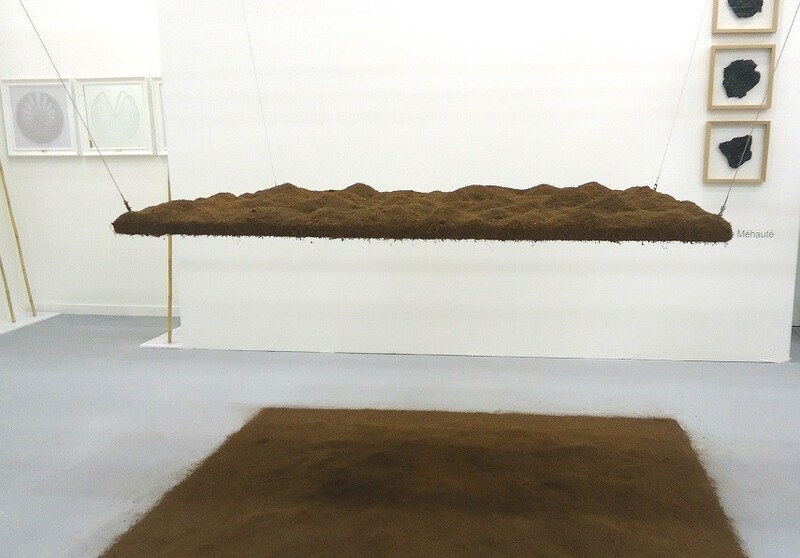 Caroline Le Mehaute is a young artist from Toulouse, whose installation was a time based work, consisting of a net full of powder of coconuts. During the art fair, this one has kept on falling down on the floor, creating a brown carpet born out of a performative-natural process. 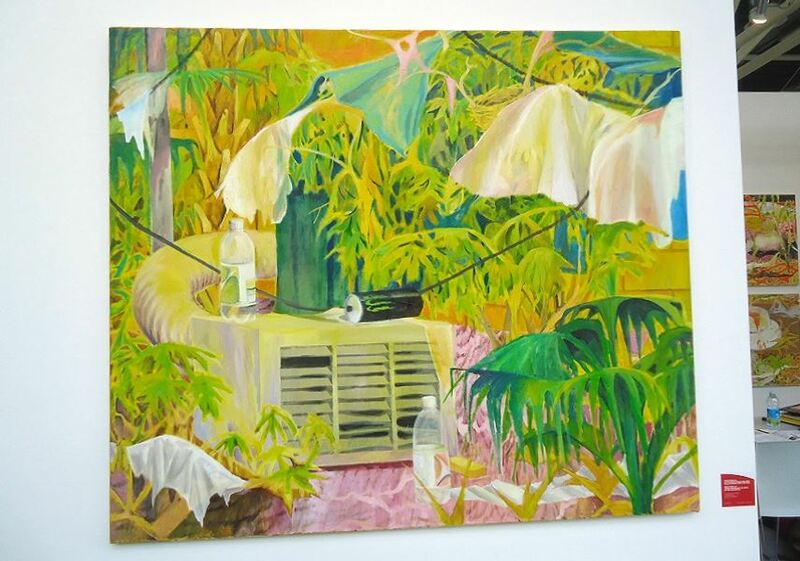 Therefore, she usually works with natural elements, depicting the energy that overflows from them. 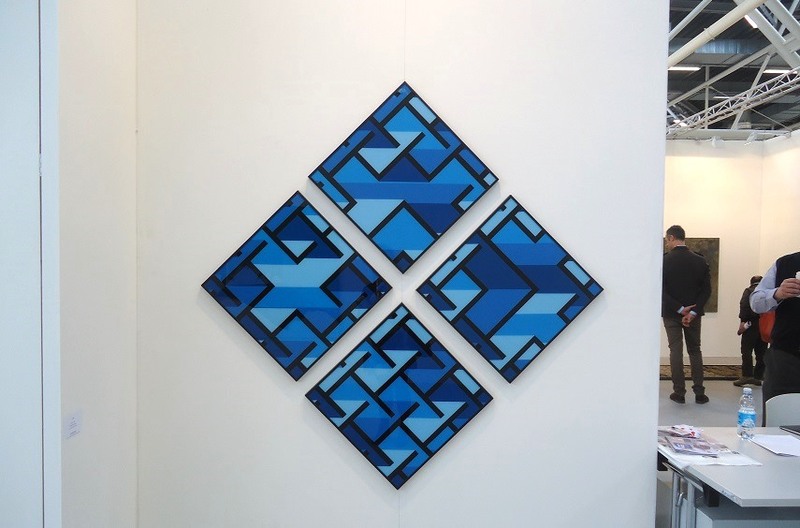 The second part of the booth was a solo show focused on the works and the life of Alberto Zilocchi, an italian artist born out of the Azimut Group. This project was generated by the will of Maurizio De Palma, who, with the collaboration of the family of the artist, is working on a historical reconstruction and a collection of the corpus of the works of him. 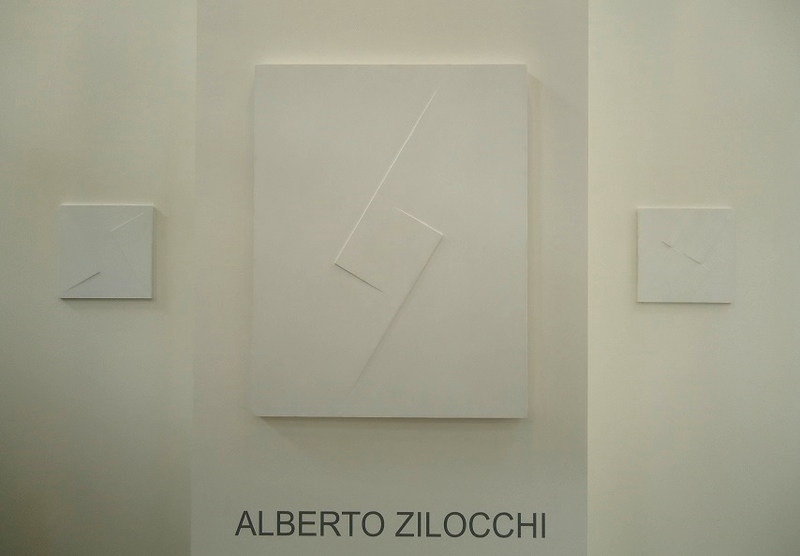 Alberto Zilocchi is well-known for his practice focused on monochromy and geometry, two elements that generates a threedimensional aspect of the works. Venice based Michela Rizzo art gallery has presented a very beautiful minimal and linear project, with important artworks. An installation was by the great pioneer of media art, Antoni Muntadas. 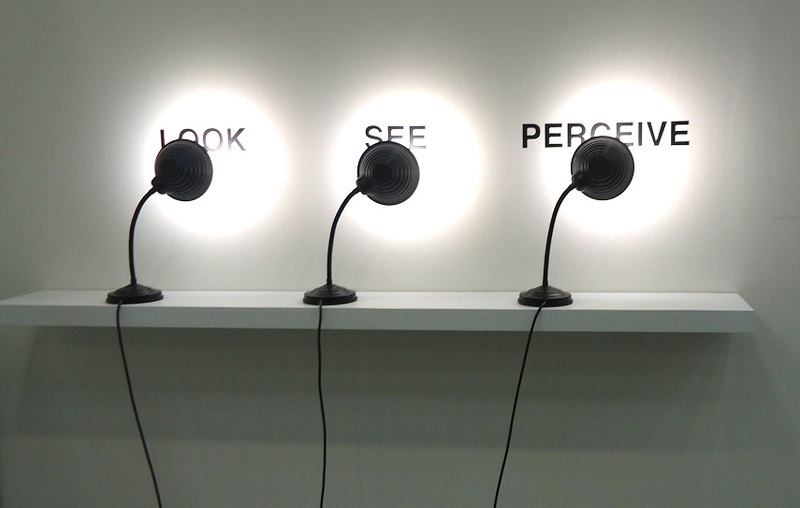 Look, See, Perceive is a small scale project which plays with conceptual art, reflecting on what the perception is nowadays, through the use of lights and language. There also was an interesting videoinstallation by Alessandro Sambini, called Jan Claude was hit by a train. This work, made by the Milan based young italian artist, is based on the use of free footage, depicting the visual language of videogames. Enrico Astuni is a well-renowned Bologna based art gallery, that, on the occasion of ArteFiera, has presented a curatorial project by Lorenzo Bruni. The curator wanted to reflect on the nature of the object, proposing artworks by artists, such as: Pier Paolo Calzolari, Maurizio Mochetti, Aldo Mondino, Luca Pozzi and Cuoghi Corsello. 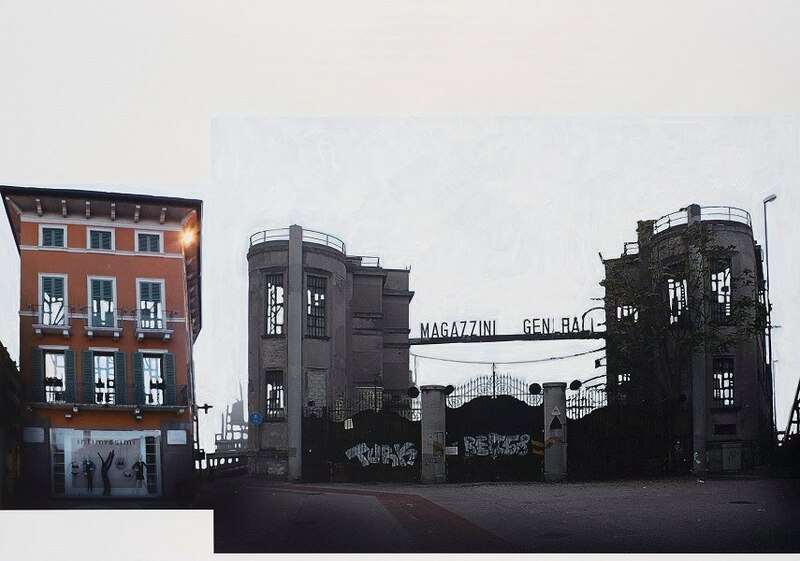 Cuoghi Corsello is an art couple that has been working together since the Eighties, whose practice has born out of the graffiti scene in Bologna. On this occasion, there was a wall with a neon installation composed by an iconic figure which is part of their visual language, entitled Bello, and then two pictures showing some graffiti of other artists in Bologna. For instance, Dado’s piece was very legible. It seems that these specific photographic works want to reflect on the ephemeral nature of graffiti and on the matheric aspect of the walls. Berlin based Mario Mazzoli art gallery has presented a solo show by Douglas Henderson, that recalls the preview exhibition held few months ago in Berlin, called Summer of love. 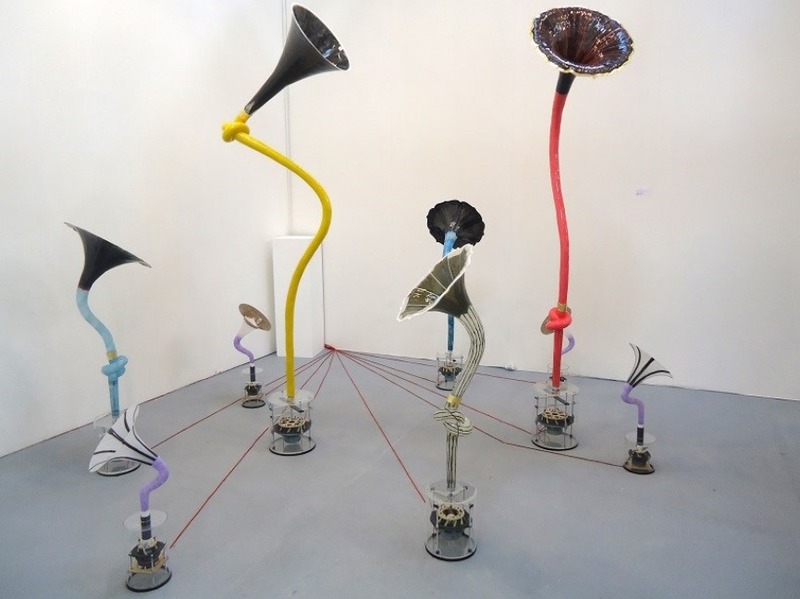 Douglas Henderson is a sound artist that usually works with movement and objects, giving tangible visibility to the vibrations derived from the existence of the sound. Every work is enriched by a bright colourful aspect that is very preminent, along with an ironic flavour. The tree main works were all characteristed by a witty and playful personality, that have turned these installations into a very complete corpus of works. Lia Rumma is a historical gallery based in Milan, that has presented a high quality selection of artworks of the masters of contemporary art. It contained projects by artists, such as: Vanessa Beecroft, Joseph Kosuth and Gilberto Zorio. For instance, the work by the great conceptual artist Joseph Kosuth was a big installation that introduces the audience to the booth. 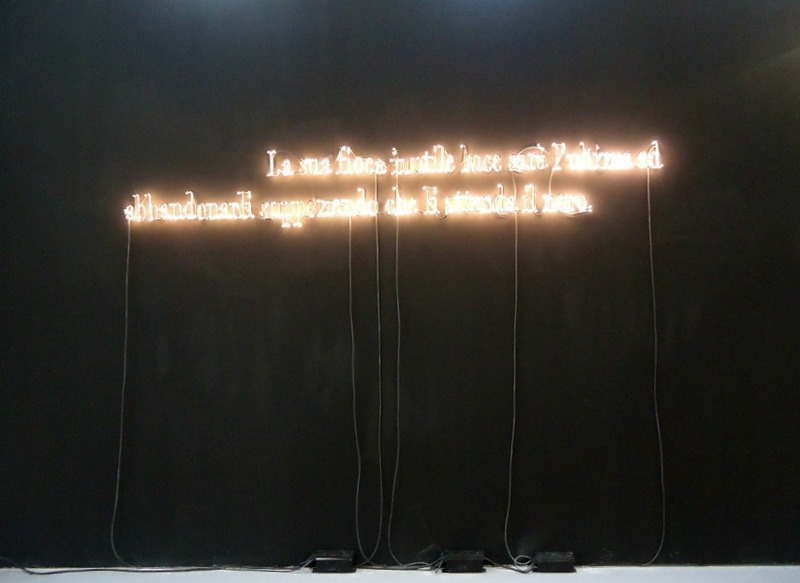 The sentence, made by the use of neons, sticked out of the black wall. The poetic words were these: “La sua fioca inutile luce sarà l’ultima ad abbandonarli supponendo che li attenda il nero”. 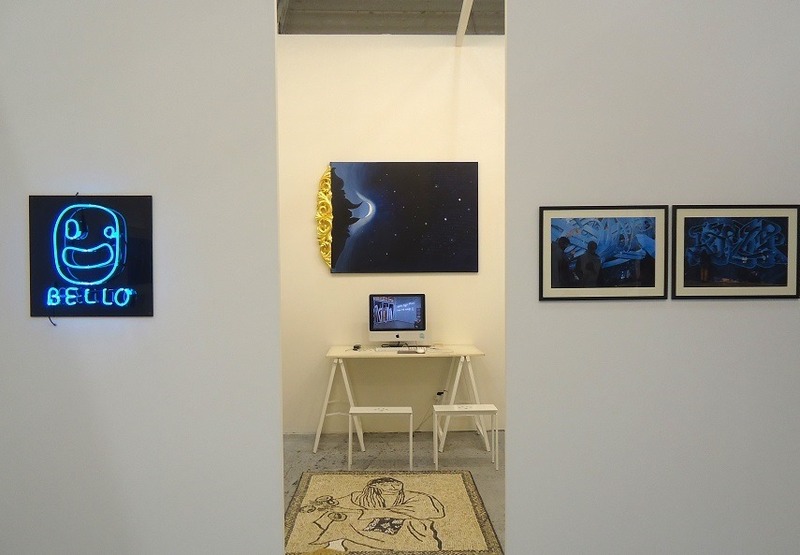 If you are interested in urban art and video art, Bergamo based Traffic Gallery has had one of the most special booths during this Art Fair. This gallery has been working on different levels and adresses since its birth in 2007 by the idea of Roberto Ratti, an architect. The rose of the artists included Cosimo Terlizzi, Andreco, Karin Andersen, Giorgio Bartocci, BToy, Nemo’s, Lucamaleonte, Orticanoodles, and Mustafa Sabbagh. It seems that elegance, visual formal aesthetic and symbolism were the subjects that could be considered as the common denominator amongst the main protagonists. For instance, a beautiful big separé by Giorgio Bartocci depicts shapeless characters, moving along the space of the triptych. Drawing, as weel, was very present. 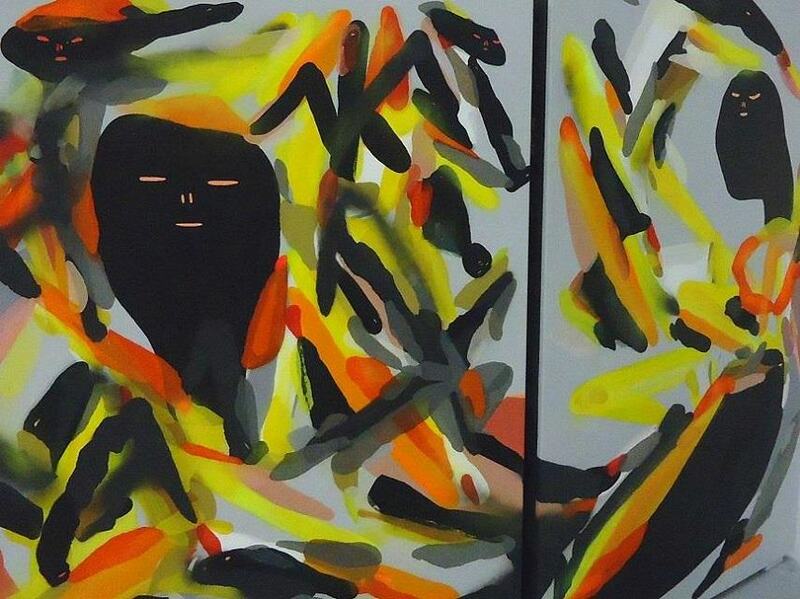 Primo Marella is a Milan based art gallery, whose booth was very focused on eastern culture. Kensu Sushigama‘s installation was a project that used the technical aspects of diorama, showing the relationship between the audience and the artworks displayed within the museums. 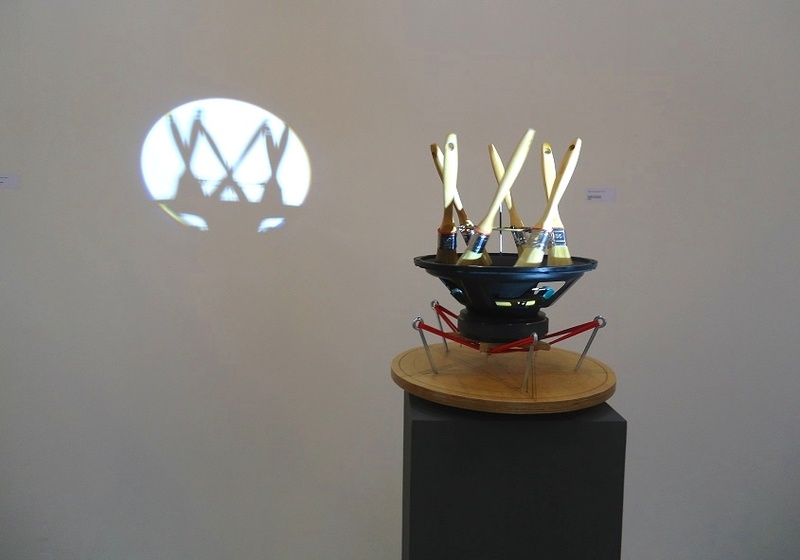 But, the main protagonist, was Ronald Ventura, whose work pivots around a connection between formal aesthetic, ritual and mythology. 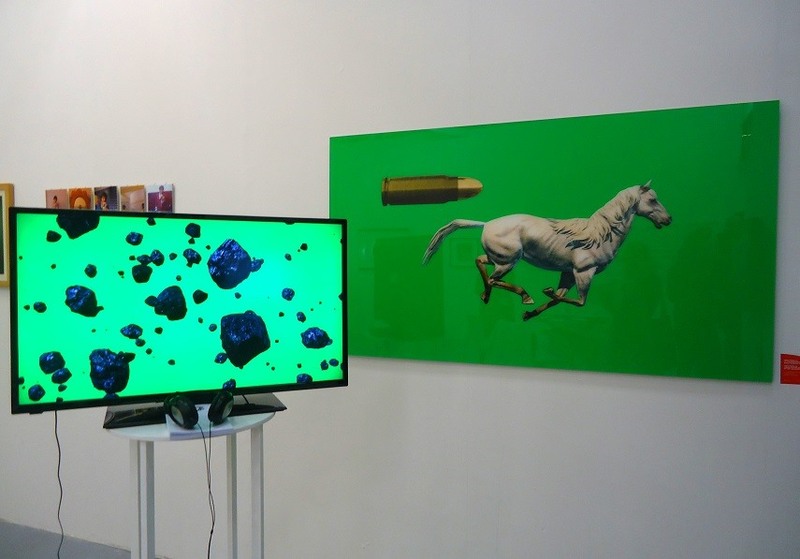 Maurizio Caldirola is an art gallery from Monza, that has exhibited an installation by Joys, an artist from Padova. His work has always been considered one of the most interesting amongst the italian urban art scene and it is based on the construction of his name through the building of layers. In this case, the very last production is composed by the use of spraycan on glass, in which the name is not so legible anymore. Instead, it is becoming a formal synthetism of the letters, reaching the visual aspect of a geometrical pattern. Studio La Città, from Verona, has presented a show built as an installation process through artworks by artists such as Hema Upadhyay and Jacob Hashimoto. Amongst the works, there was a very interesting picture by Eugenio Tibaldi, a young italian artist who has conducted a specific research on some buildings and areas around Verona. This is part of a long series, called Red, that is a study between the abandoned buildings, new architecture and the audience of the city. The photographs were also painted by the artist, giving birth to different levels onto the work. 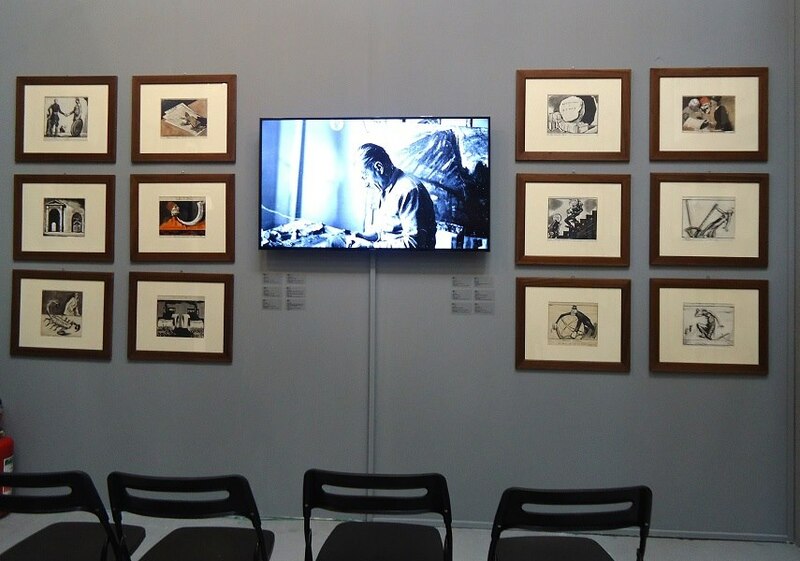 The booth by Dellupi Art Gallery from Milan, was totally dedicated to the italian artist Enrico Baj, with artworks from the 1950s to 1980s, reaching the level of a personal exhibition. This selection of works were part of a retrospective that the gallery had organized in the past October that was focused on the artist’s characters. Amongst the youngest ones, Massimodeluca Art Gallery from Mestre, has presented a solo show by the painter Paola Angelini, whose work was introduced by a text by Antonio Grulli. Her paintings were inspired by a Titian’s work that is part of the collection of Gallerie Dell’Accademia. Galleria Marcolini, from Forlì, instead, has showed an exhibition about nature and social conventions, some issues that are part of the gallery’s main research. The artists were: Adriano Valeri, Elena Hamerski, Giorgia Severi and Romina Basso.